If quality matters to you, this amazing property will not disappoint! Inspired by Château de . 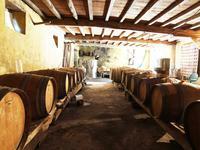 . .
Have you ever dreamt of owning a vineyard in France or running wine-tasting holidays? If yes, . . . If you are looking to invest in a luxury property with great business potential with no . . .